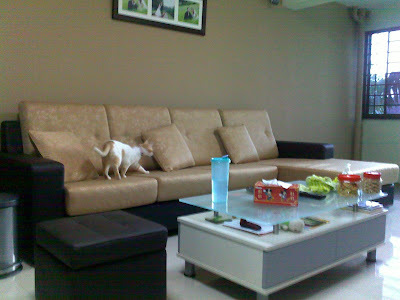 After a 1 month plus wait, our new sofa from Seahorse is fianlly here!! Goodbye to hot sofa and sunken cushions from Picket & Rail!!!! Me and BC are really happy with this value for money purchase! !